Quebec will "probably" follow Ontario's lead in banning pit bulls, Premier Philippe Couillard said Thursday. Quebec City, meanwhile, introduced a ban of its own. As Quebec City announced it will ban pit bulls starting next year, Premier Philippe Couillard said Thursday the province will "probably" follow Ontario's lead in outlawing the dogs. 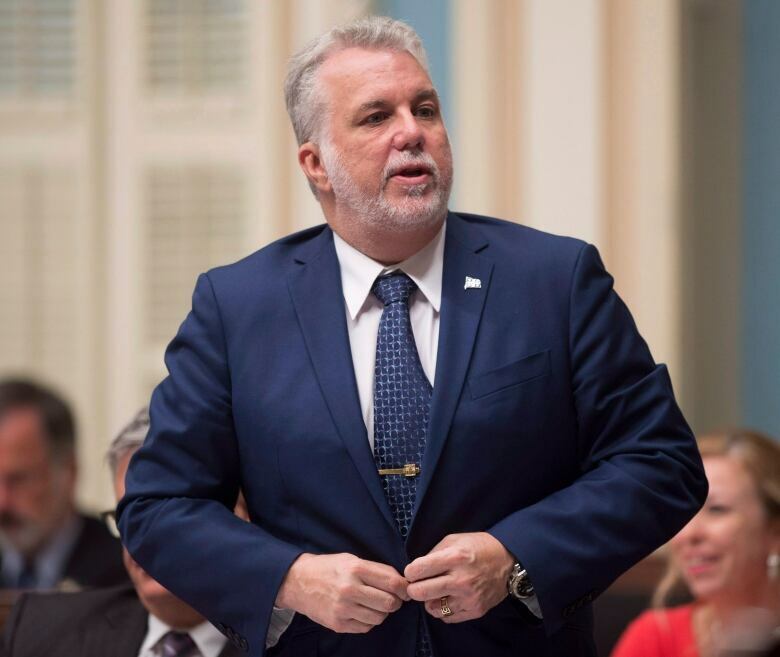 Couillard said the province would take the summer and the beginning of the fall to study the issue and consult with municipalities, many of which have also been considering new rules in the wake of a series of high-profile attacks. Couillard also stressed that it would be pointless to ban pit bulls and then have to intervene again a few months later to ban another dog breed, suggesting any province-wide legislation would target dangerous dogs and not just pit bulls. 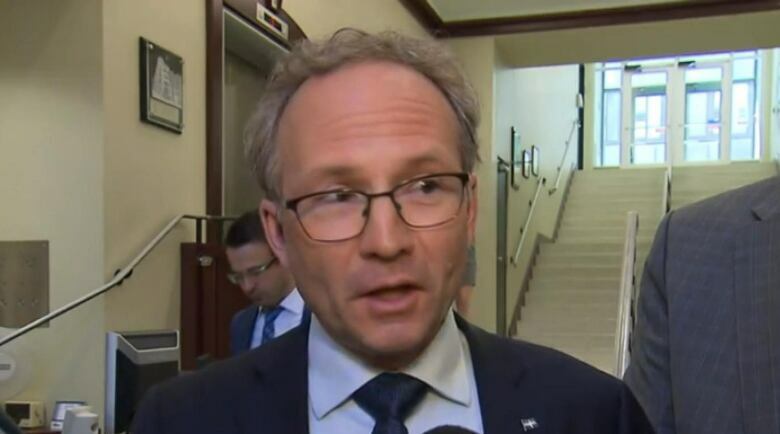 Public Security Minister Martin Coiteux echoed the premier's comments Thursday, saying that while pit bulls are "very" dangerous, there are other kinds of dangerous dogs and they also need to be addressed. Coiteux said the working group convened following the death of Christiane Vadnais in her Pointe-aux-Trembles backyard last week met for the first time Thursday morning. He expects their recommendations to be ready by August. "We will definitely do something significant," he said. In the last few days, Brossard, Candiac and now Quebec City have announced pit bull bans. Coiteux said their bylaws will simply be added to the list of regulations the working group is examining in order to come up with its recommendations. He said in the absence of a common vision, he didn't see anything wrong with individual municipalities creating their own rules to deal with the dogs. "The cities are doing what they believe they have to, and that's fine," he said. Quebec City Mayor Régis Labeaume said the decision to introduce the ban, which will go into effect in 2017, was made with the safety of the public in mind, because the dogs are "particularly aggressive." Any mix with these breeds. Starting Jan. 1, any dog on the list of banned breeds will be prohibited. Anyone caught with a banned dog is subject to a fine of up to $1,000 for a first offence. For its part, the City of Montreal is working to come up with a uniform set of rules regarding "dangerous dogs" across its 19 boroughs but won't say if it's leaning toward an all-out ban on any particular breed. Those rules were slated to come into effect by 2018. Ontario's pit bull ban was proposed in 2004 after a number of cases in which people were badly injured in pit bull attacks. It was passed in 2005. "The legislation bans pit bulls in Ontario, places restrictions on existing pit bulls, and toughens the penalties for the owners of any dog that poses a danger to the public," Ontario's Ministry of the Attorney General says on its website. The legislation, called the Dog Owners' Liability Act, defines a pit bull as a pit bull terrier, Staffordshire bull terrier, American pit bull terrier, American Staffordshire terrier or any dog "that has an appearance and physical characteristics that are substantially similar. A lawyer working on behalf of a Toronto dog owner challenged the law in Ontario's Court of Appeal, where it was upheld. He then tried to bring it to the Supreme Court, which refused to hear the case. The act includes a "grandfather clause," meaning those who already owned a pit bull were able to keep it. 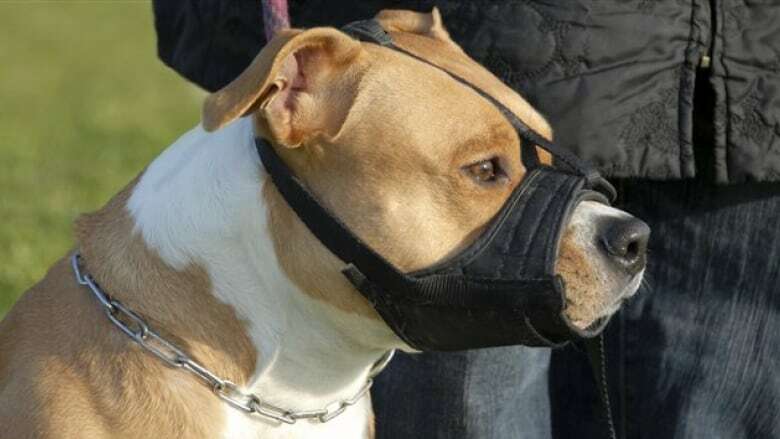 Pit bulls are also required to be muzzled and leashed when in public, and must be sterilized. Peace officers, which includes police officers, municipal law enforcement officers and inspectors or agents as designated by the Ontario Society for the Prevention of Cruelty to Animals Act, are tasked with seizing dogs that contravene the rules. Dog trainer and pit bull owner John Truss says his dogs are like family. He says he strongly opposed to bans on specific breeds of dogs. Instead, he'd like to see dog owners held accountable for their animals. What are the options when it comes to regulating dogs? "I think politicians do this to make everybody feel safe. But do we want to make everybody feel safe, or do we want to make everybody be safe?" he said. The Montreal SPCA has said legislators should focus on preventing dogs from becoming dangerous. It wants to see rules surrounding sterilization, socialization and regulation of who can own dogs.